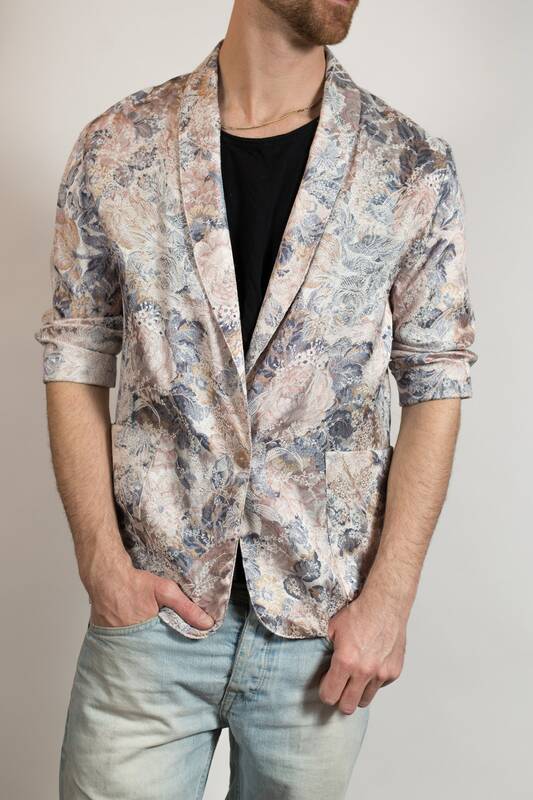 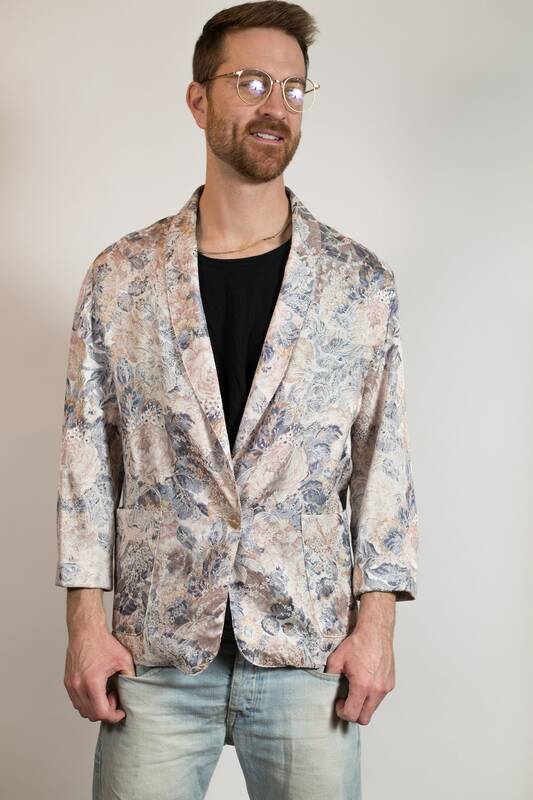 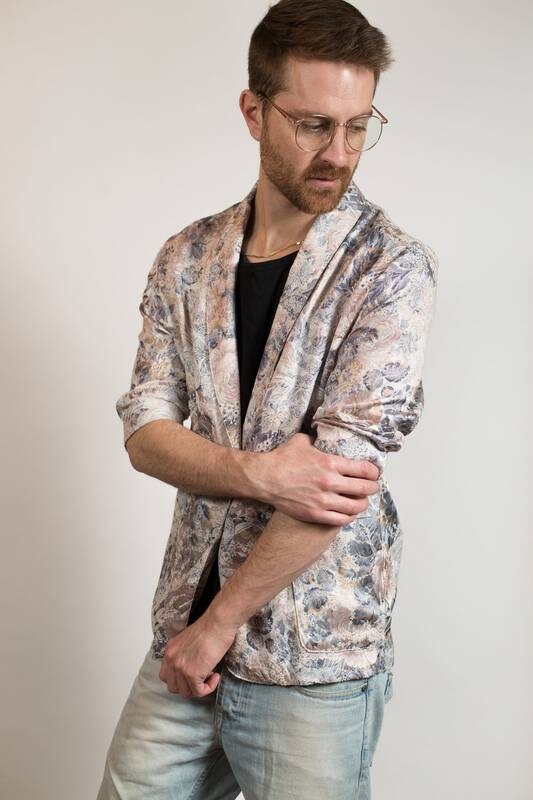 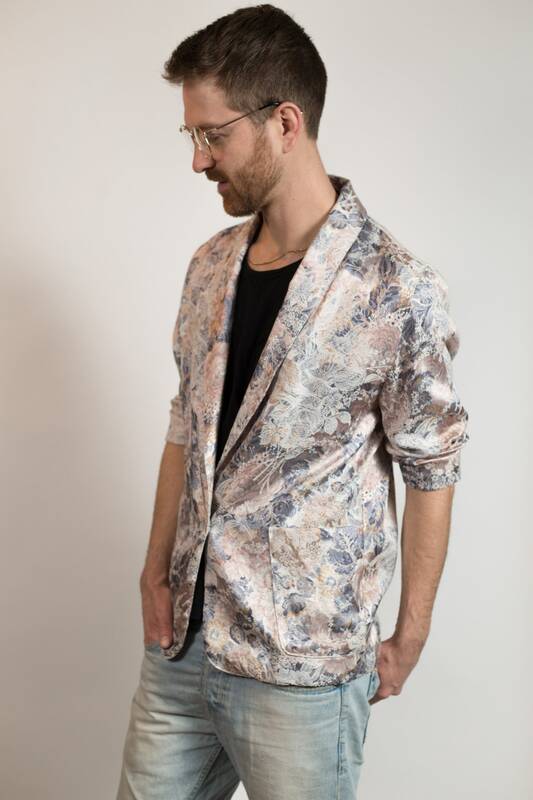 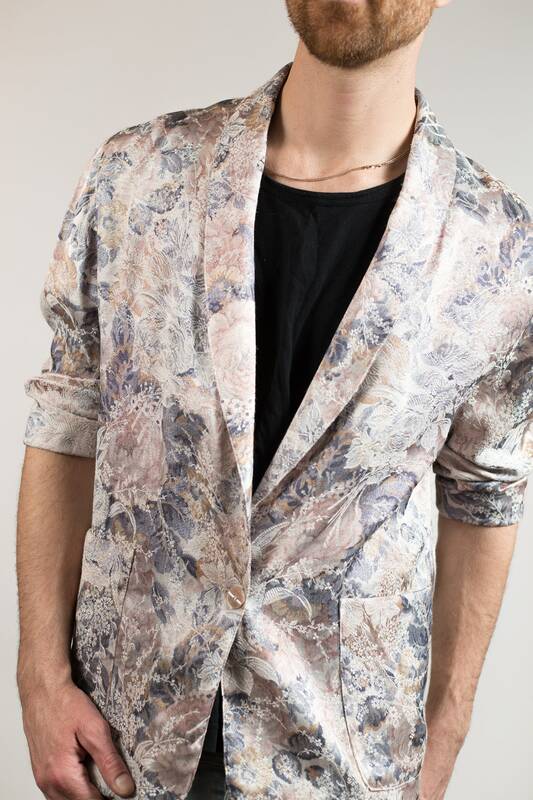 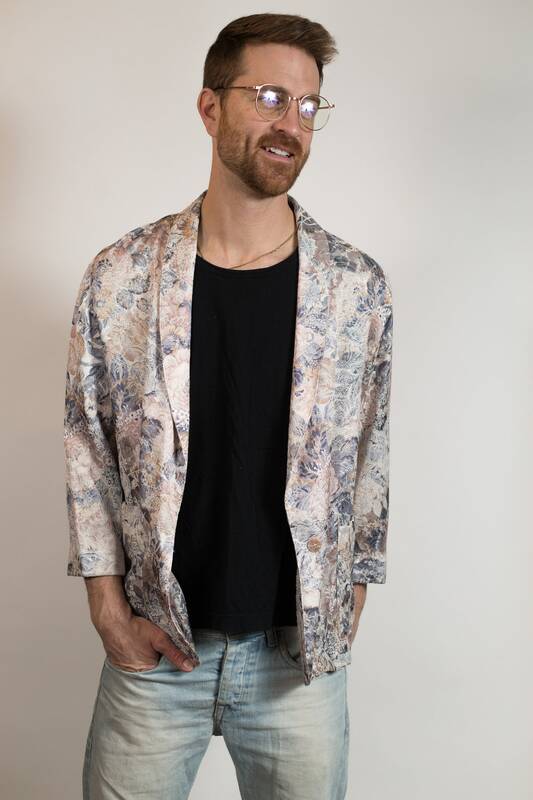 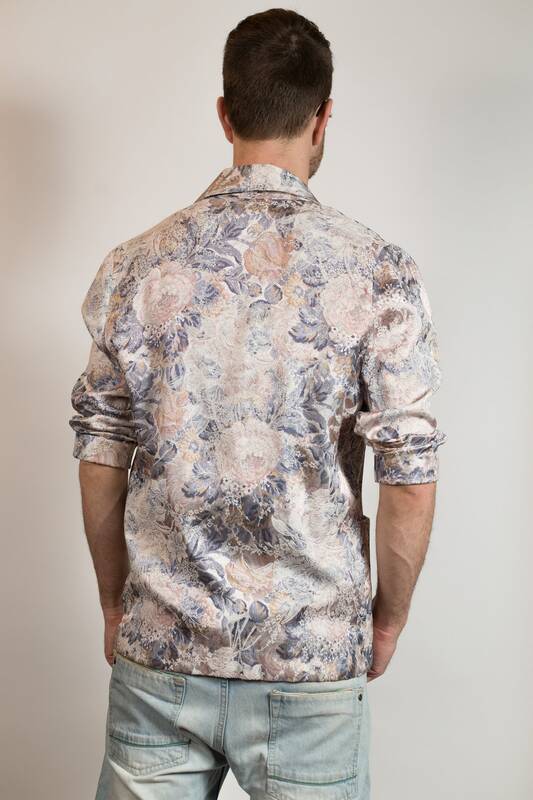 This is a beatufiul blazer with a soft pastel allover floral pattern. 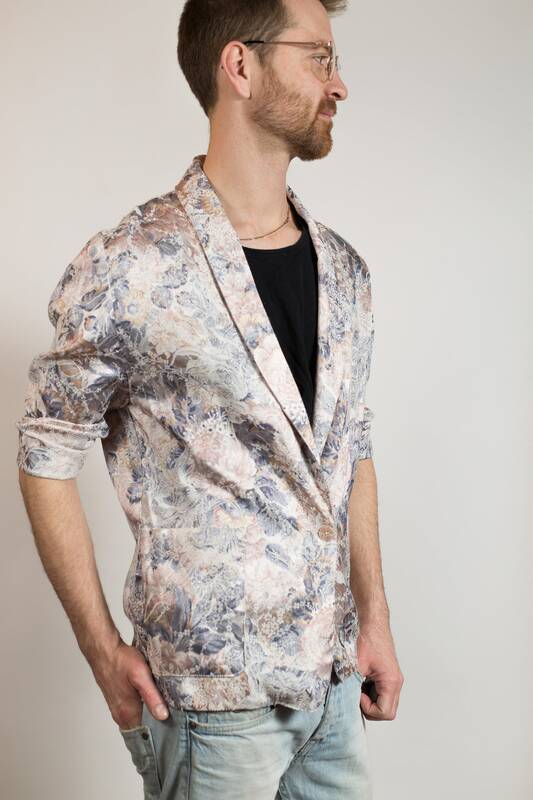 Size: men's medium, women's large (Model wears medium and is 5”11). 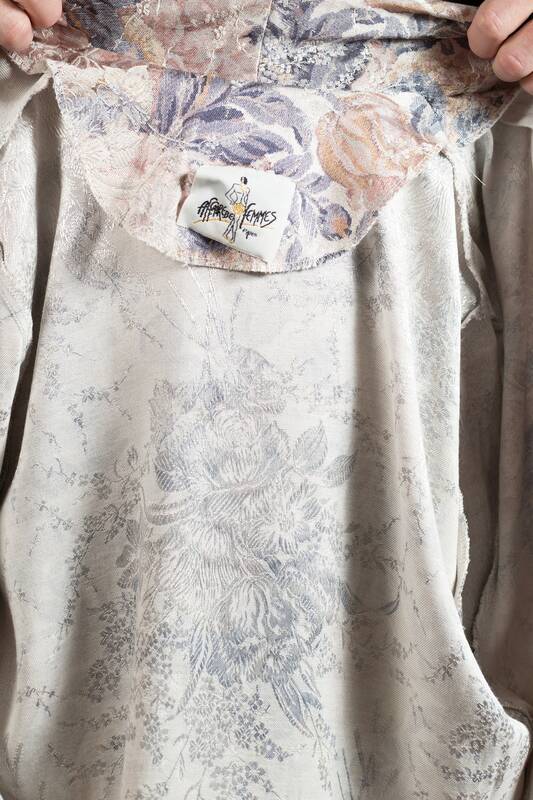 Sleeve length (top shoulder seam to cuff): 20"